I love the I-Novae stuff. It'd be great to see a water video. This also looks like something I'd play, because I do enjoy Minecraft from time to time. Openly announced today, No Man's Sky. Probably more "gamey" than SE is. 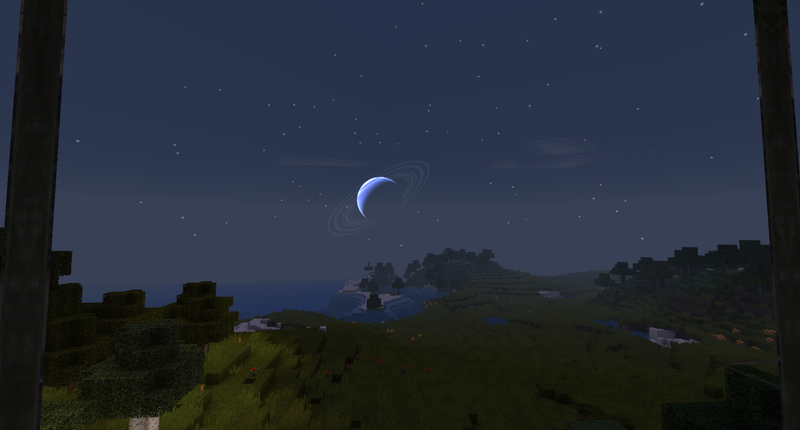 Decided to mod some SpaceEngine into Minecraft. Click for full res. HarbringerDawn, you made me drool my house into a swimming pool. Congrats. Two of my favorite pieces of software together. It's like a dream come true... Any chance of releasing this to the public sometime? Any chance of releasing this to the public sometime? Sure, I'll zip it up and post a link later. 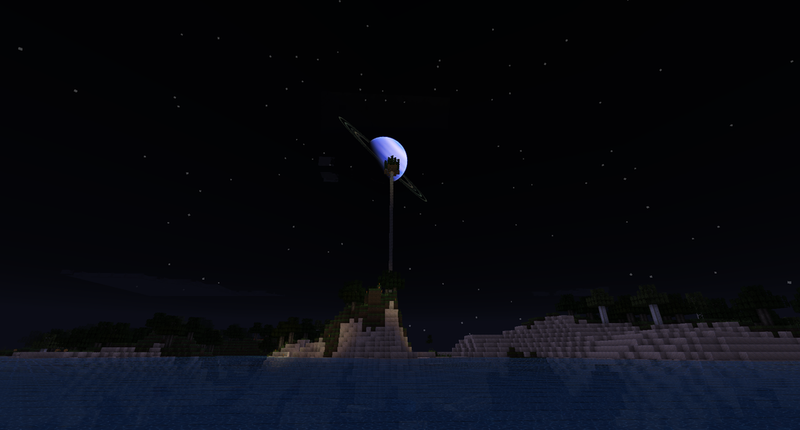 I'll include both the gas giant and a Moon-like selena (which I personally prefer for Minecraft; screenshot below). Might make another option between now and then too. HarbingerDawn, looks awesome! Although I prefer to play with vanilla textures. Aaron, looks like just another space opera. I am sorry for sounding harsh, but it looks like another "shoot this, shoot that, blow that up, you won". If anything, Limit Theory seems much more promising right now. By the way, anyone else playing Starbound? As a big Terraria fan, I can say right now that the game is awesome. I'm a huge terraria fan, but I watched some videos of Starbound and it seemed to me a little bit boring. I don't really like the whole "infinite planets" thing. I can't really explain why though. + I'm short on cash and I usually purchase games under 10$. Sweet! I'll be looking forward to this, too. 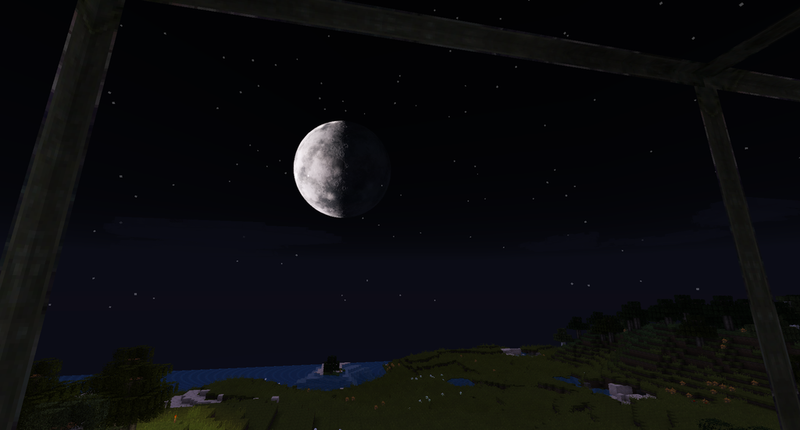 Decided to mod some SpaceEngine into Minecraft. Harb, this is truly epic ! 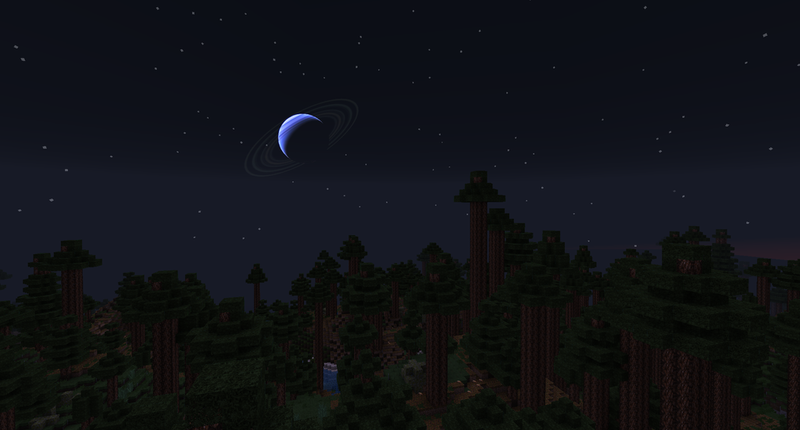 Oh, you've find a giant taiga biome ? With one month searching, I was unable to find one of it. You're a lone quark, and you have to use the laws of electromagnetism to survive from antimatter, and do missions. Yes Antza2 and I found it only a few minutes after starting a new game. It's a very cool environment. Yes, Antza2 and I found it only a few minutes after starting a new game. It's a very cool environment. That, the mesa and the ice spike biomes are probably my favorite new additions. Has anyone found an ice spikes biome? I found only one so far, and it didnt have any truly huge spikes in it. Only the small ones. Still cool, however.